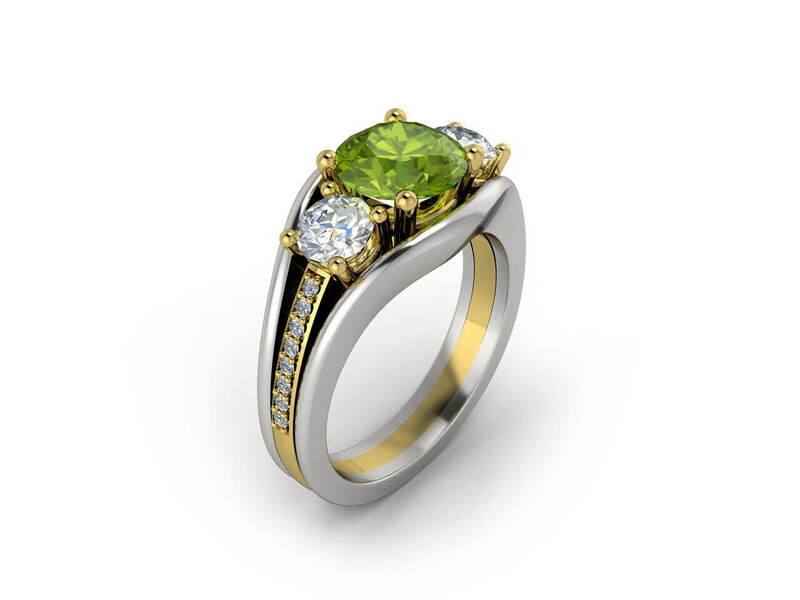 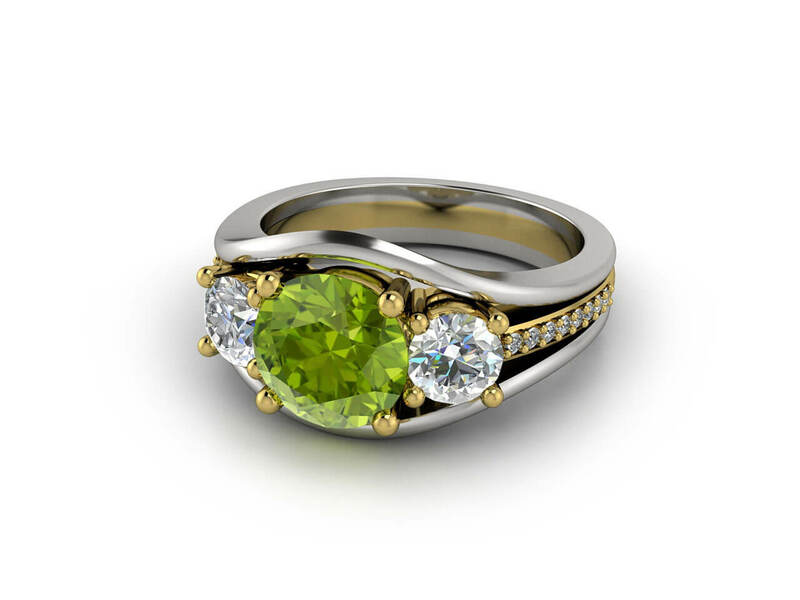 This gorgeous design features a peridot centre stone with brilliant round diamonds on either side and a thin row of diamonds on the band. 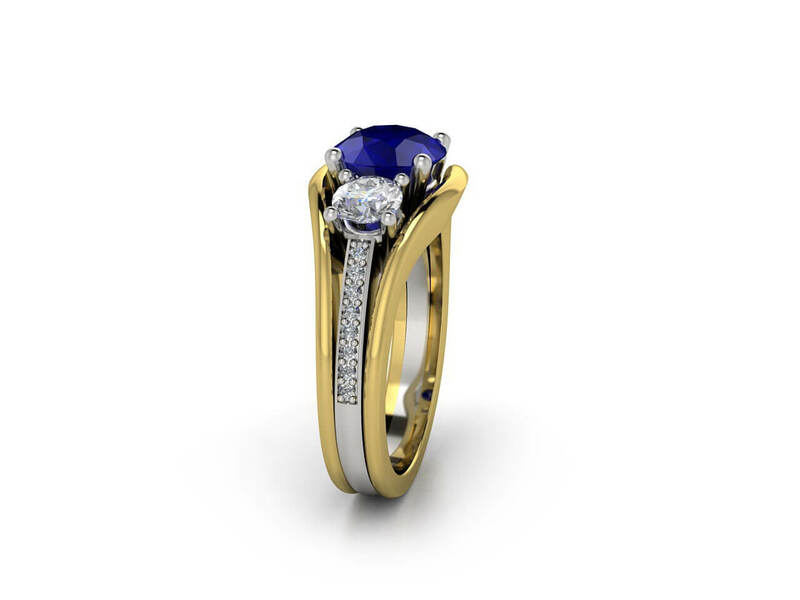 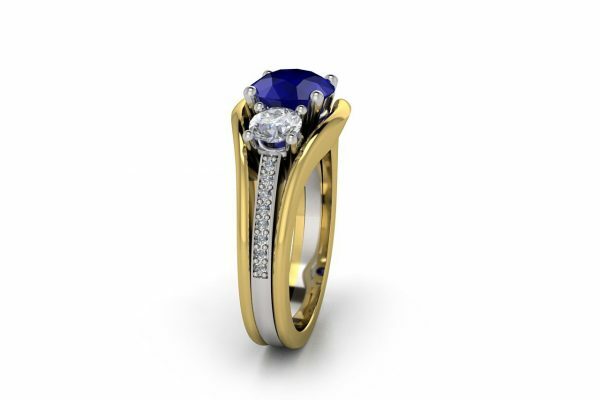 It can be custom made in any combination of metals and the centre set with a sapphire, ruby, emerald or any other coloured stones or GIA certified diamond. Weight of side stones A: 0.10ct aprox.